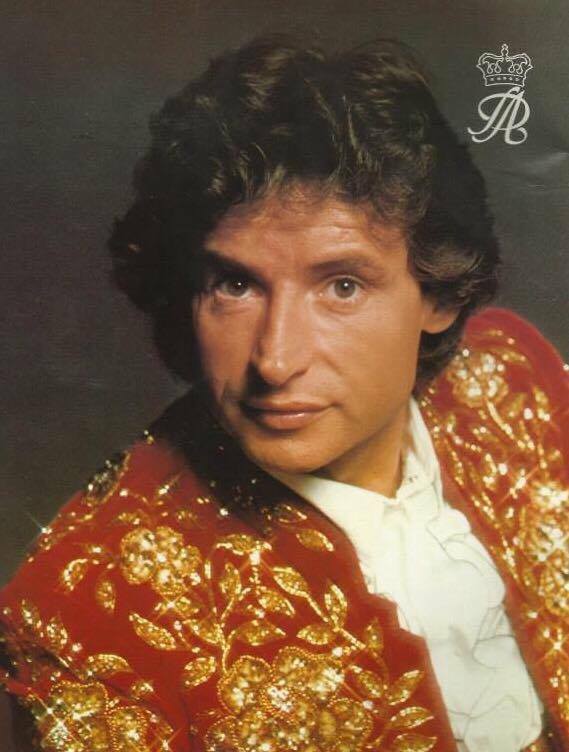 Pepito Alvarez was born José Luis Alvarez 1943 in Seville, Spain. He has had an amazing career, performing all over the world. 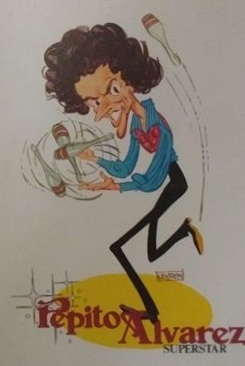 In 1970, he won the Rastelli Trophy, given to the winner of International Festival of Juggling competition in Enricio Rastelli’s home town of Bergamo, Italy. 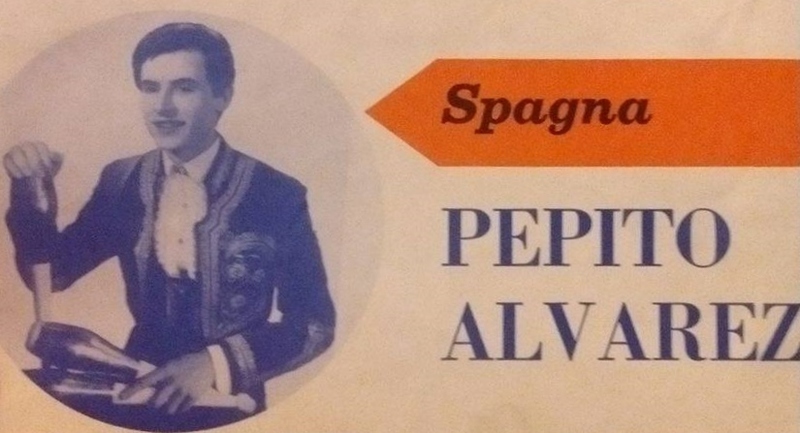 I asked Pepito about his life and career. 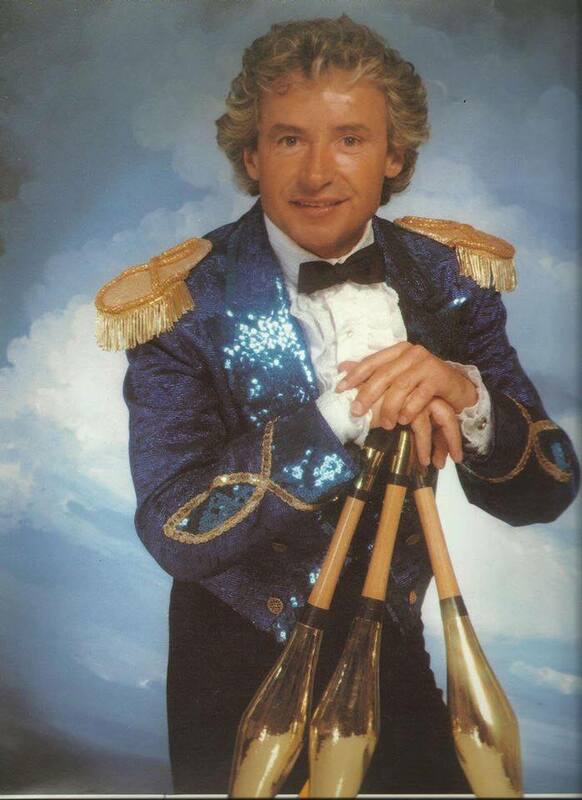 Please tell us a bit about your family background, family, and your early years before you started performing as a juggler. I am a 7th generation artist. 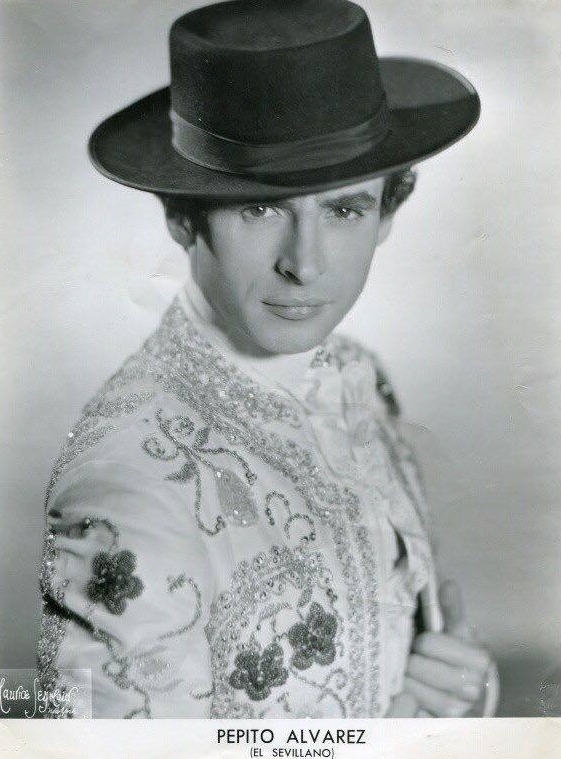 My grandfather’s brother was the famous Federico Alvarez, “The Great Arsens Blondin,” who crossed the River Seine in Paris. He was decorated with gold medals from Kings. My grandfather Manuel Alvarez and Evarista Juan had 23 children but only 13 survived. They were great acrobats as well as horse riders, ikarians, antipodists, and jugglers. My father was a very good artist in all disciplines. 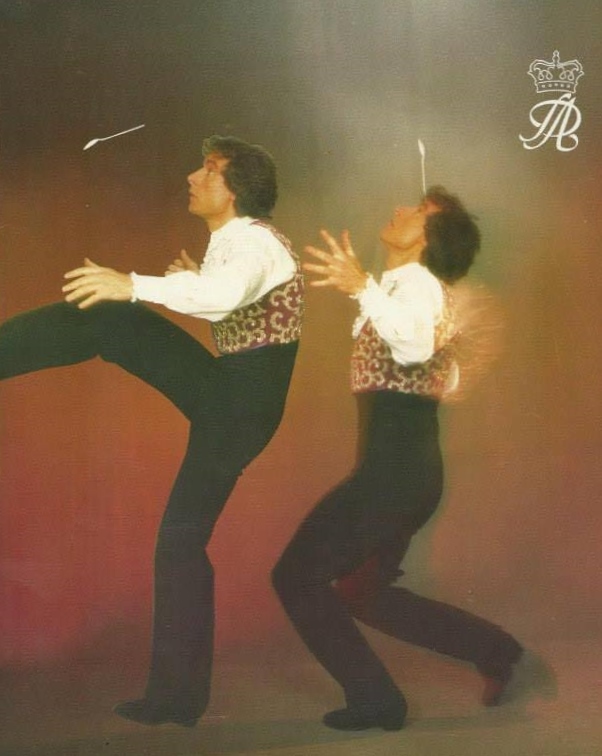 How did you get started as a juggler and how did you develop your act? 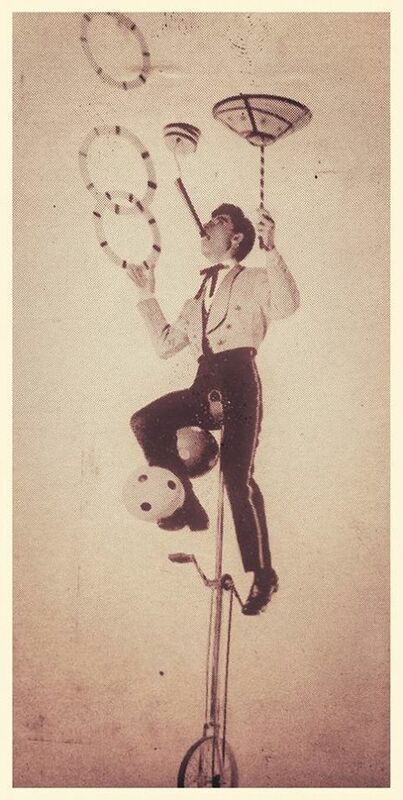 On my 5th birthday, my father give me a unicycle, rings, balls, and three clubs and began to teach me. He was a great man! 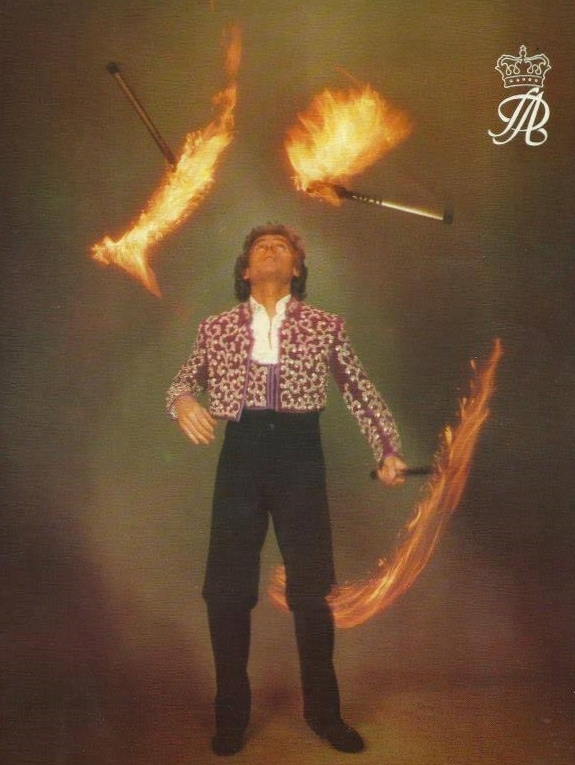 My father and my mother had their own spectacular circus in Spain. So they wanted to give me a good education and at the age of 6 years they put me into a boarding school with the Salesian priest College, San Juan Bosco in Seville, where I practiced and was admired by other kids. 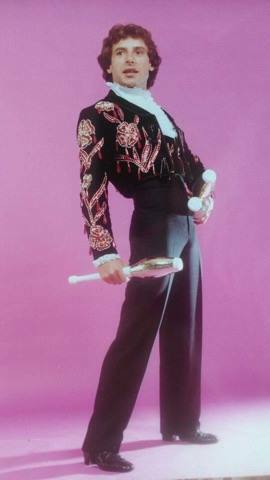 At the age of 13 my parents took me out of the school because they lost everything and had to work as entertainers again. 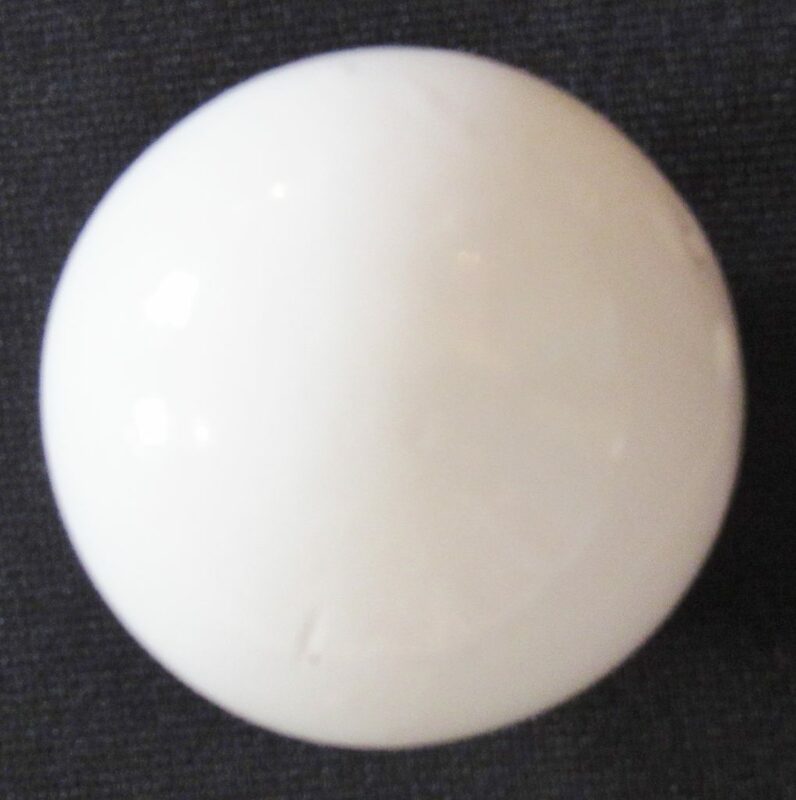 I practiced with balls, unicycle rings, and clubs. 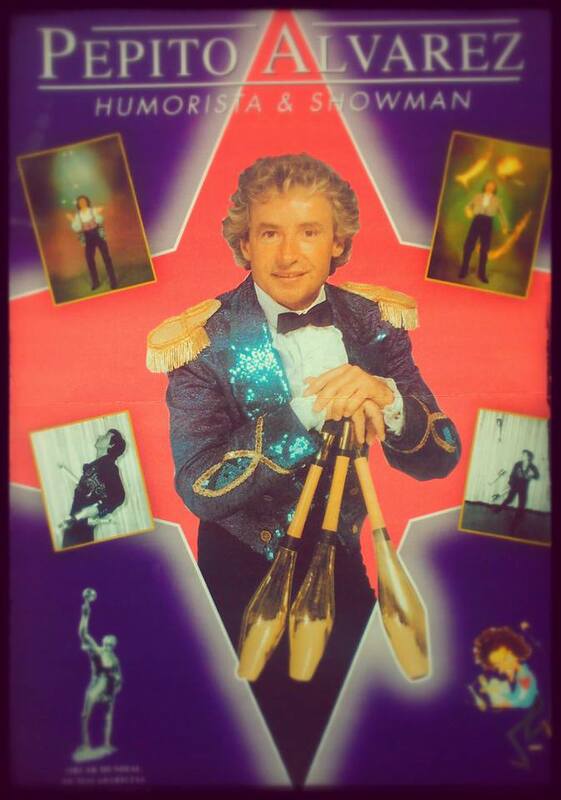 I worked on juggling clubs with my feet for many years. 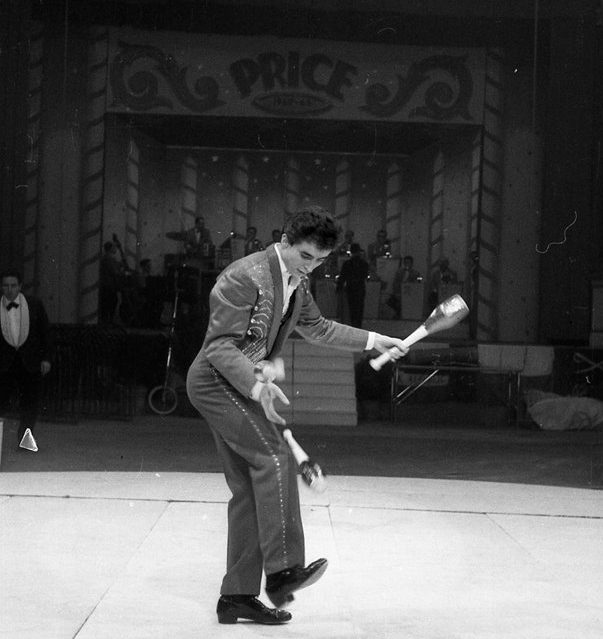 Were there any other jugglers who were early influences on you? 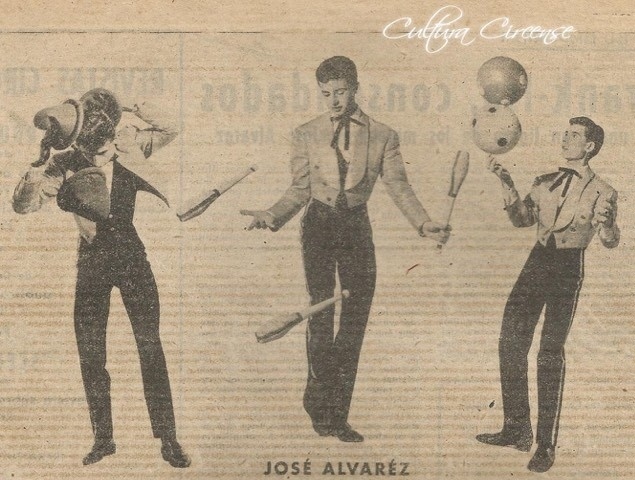 The jugglers who influenced my early years were Los Dangolis and Enrique Del Rey (alias Rastellini), who later formed a duet with his brother Miguel and were called Los Del Rey. What were some of your career highlights? 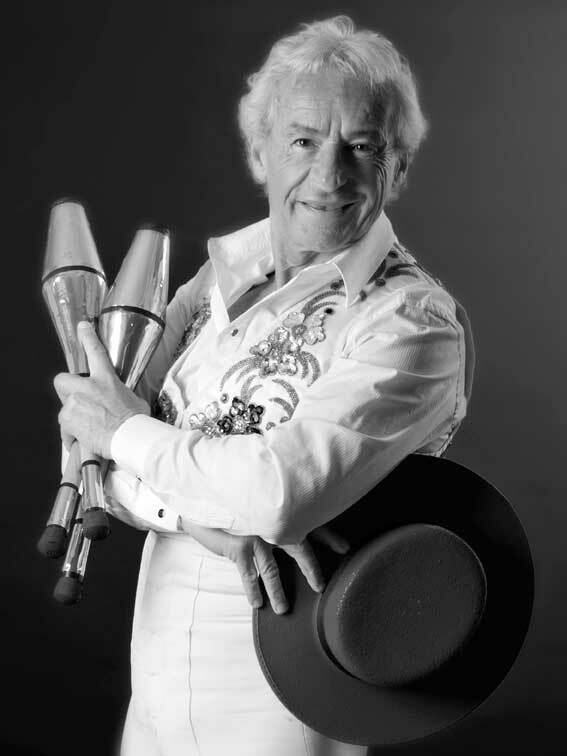 In my artistic career, I have had many great successes, since I worked on five continents on the best TV shows, music halls, variety shows, hotels, theaters, revues, casinos, and circuses. The most important were Scala Barcelona, Scala Madrid, and Gran Canaria. 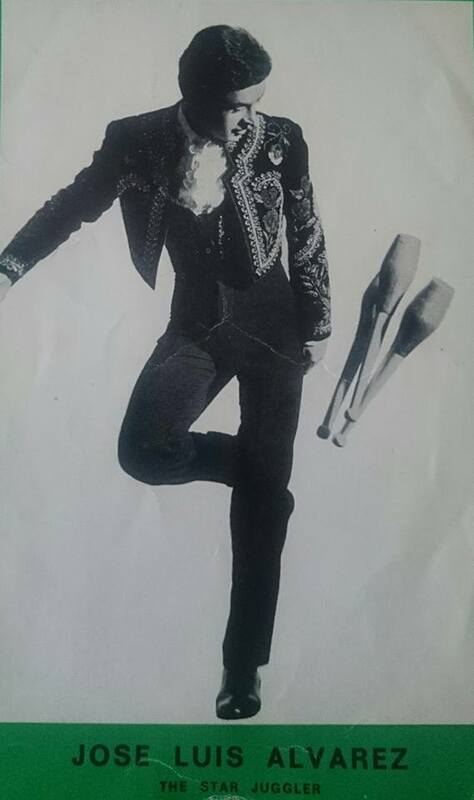 You won the prestigious Rastelli juggling competition in Bergamo, Italy in 1970. Can you tell us about that experience? When I won the the famous Enrcio Rastelli trophy at the Rastelli Festival in Bergamo (Italy), it was the most beautiful and wonderful thing that could happen to me in life! First, because of the importance of the big event and second because the director of RAI Television chose to make a movie about my life. The documentary was so wonderful and also had so much success that after it aired on TV on a weekday afternoon it was broadcast again the next week on a Saturday night at in primetime. I wanted to buy the documentary but the RAI would not sell it, so the video is only now in my memory. The famous documentary and I had so much success that a film agency contacted me for a screen test for a major motion picture. I went to Rome and did a screen test and it went very well. But unfortunately, for lack of money, it could not be made at that time. But five years, in 1975, they finally received financing and made the film Un Uomo da Rispettare, starring Kirk Douglas and Giuliano Gemma. 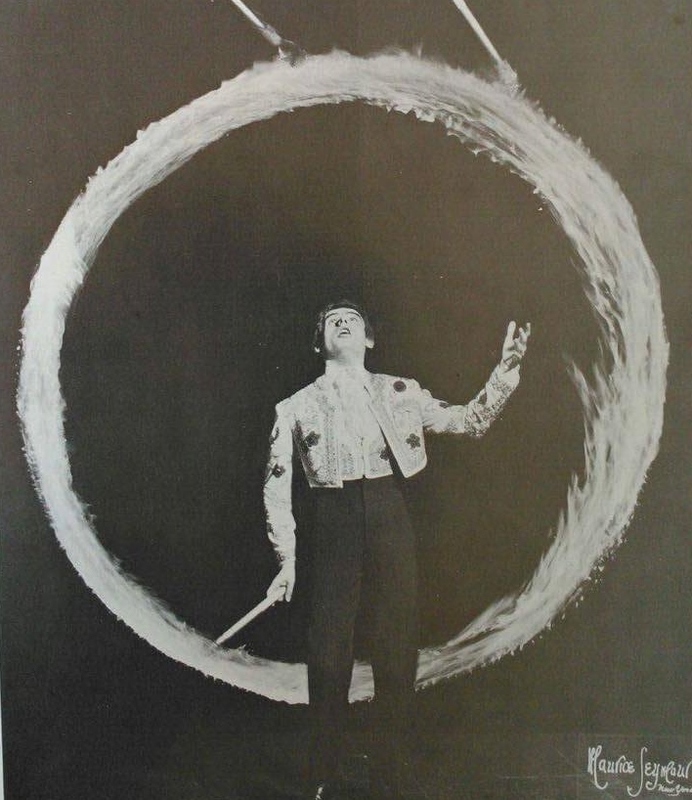 What other jugglers were you close to during your career? I was close to Nino Frediani. 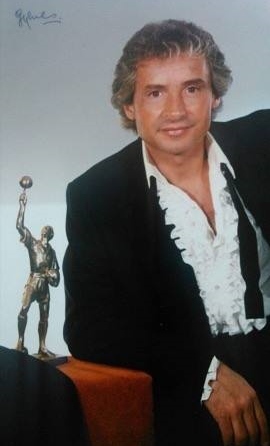 We were like brothers and I am the godfather of Romano Frediani, his son. 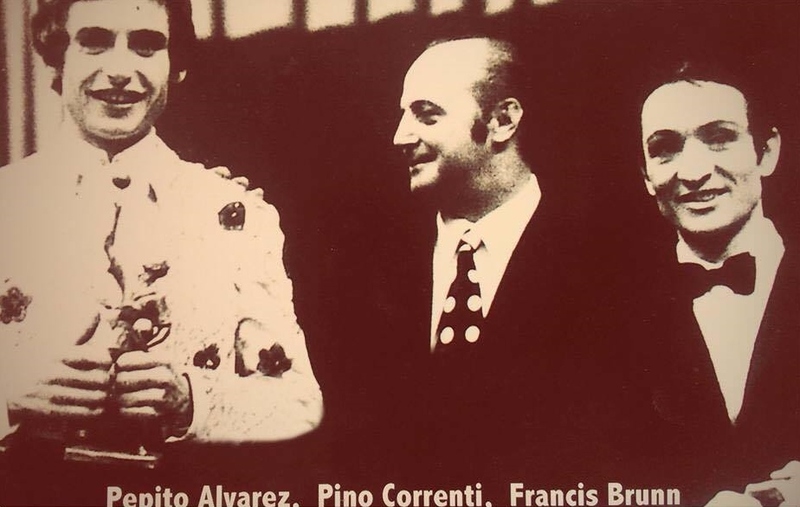 I was also very friendly with Francis Brunn and Ernest Montego. But the others were always in competition with me and I didn’t like that. 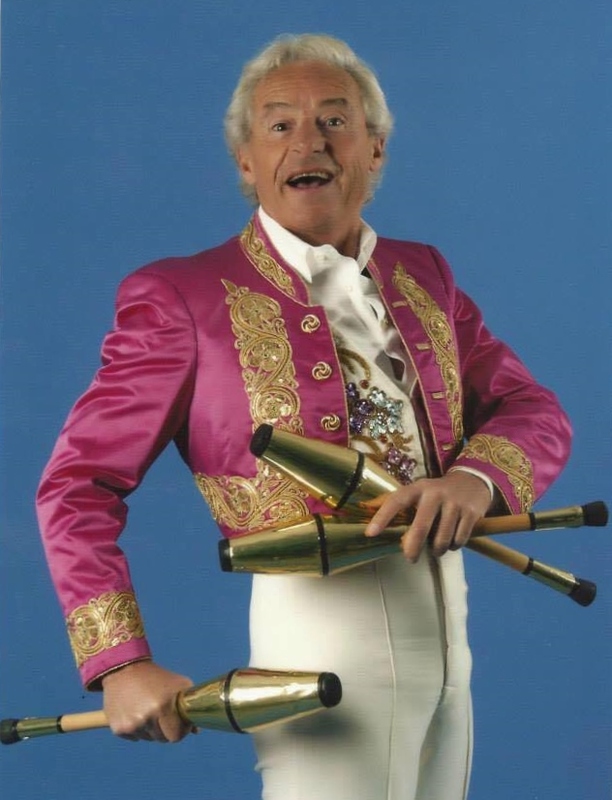 What words of wisdom do you have for jugglers wanting to have a long and successful career? Don’t copy. Be yourself, whatever you do, and try to sell all that you do with charisma. 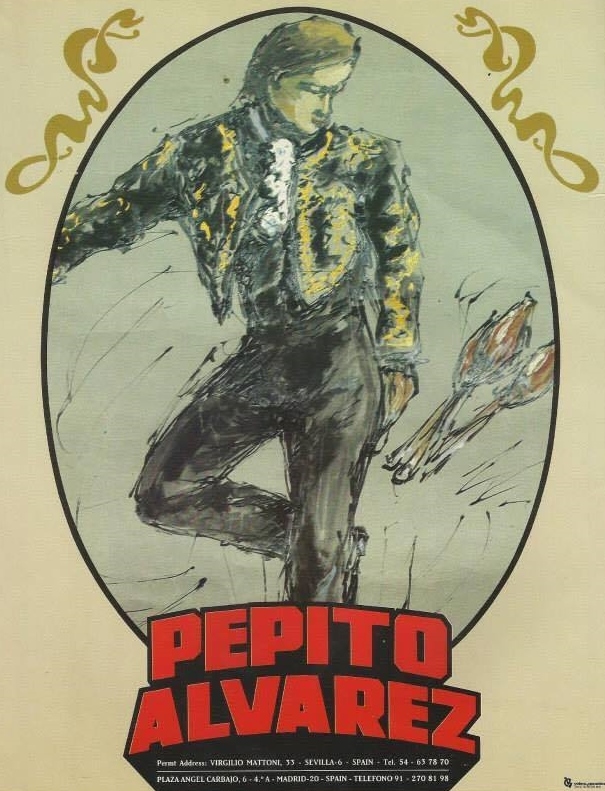 Here is a video of part of Pepito’s wonderful act. 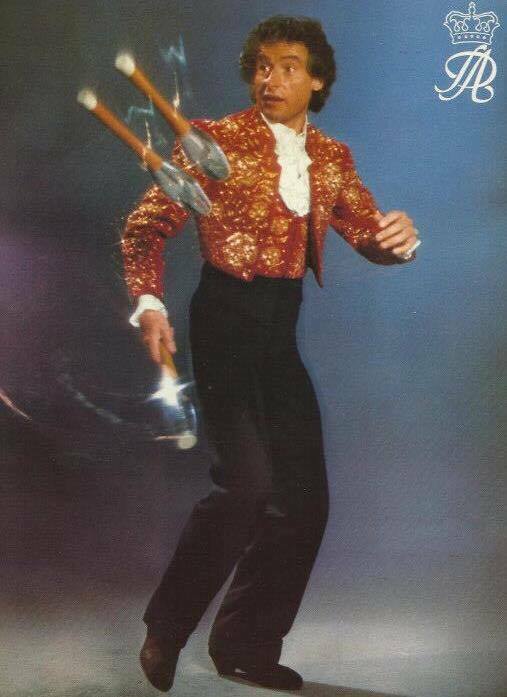 The Museum of Juggling History is honored to display a club and ball that Pepito used in his act for years. You can see them below.